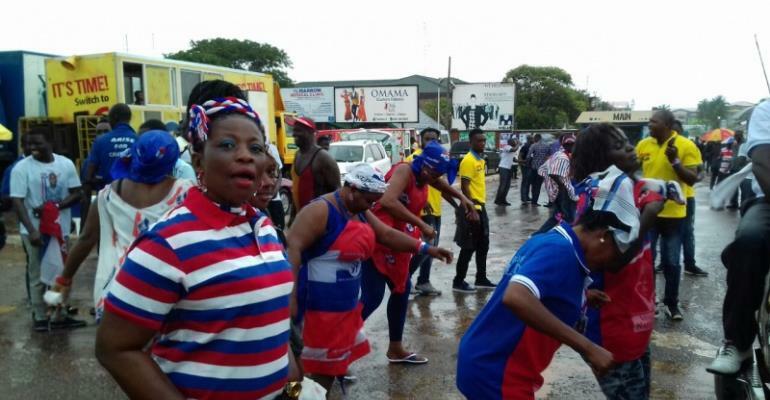 An aspirant for the Chairmanship position of the New Patriotic Party in the Cape Coast South Constituency, Alexander Mensa Hagan, has called on his supporters and sympathizers to remain resolute as the courts resolve a case of ineligibility brought against him. In a statement issued in Cape Coast on Sunday, Mr. Hagan said: “I urge all my supporters and sympathizers not to be disheartened by the temporary setback. We will contest the matter in court and come out victorious. We will then go into the election and get a great victory for the people of Cape Coast South. “It is important that all my supporters remain confident, resolute and upbeat as we await the outcome of the legal challenge. I thank everyone for the overwhelming support since I decided to contest the Cape Coast South Constituency Chairman position,” Mr. Hagan added. The Cape Coast High Court placed an injunction on the party's constituency election on Friday following a suit filed by some members of the constituency challenging the eligibility of Mr. Hagan to contest the party position. Hagan, a renowned geologist, philanthropist and public spirited person, says he decided to contest the position because he wants to bring his years of experience and expertise to bear on the management of the party.